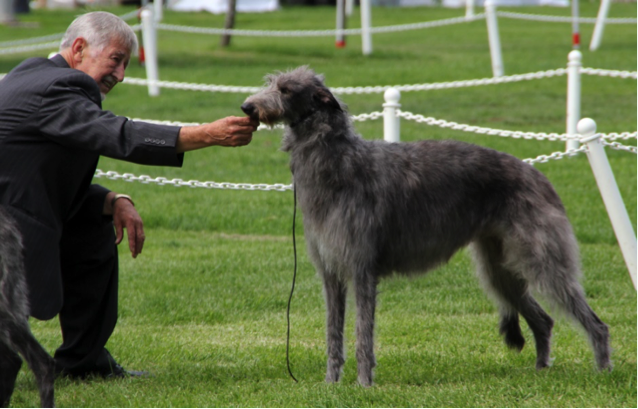 Ray obtained his first Scottish Deerhound in 1979 and shortly after in 1980 the Jaraluv breeding program came to be. 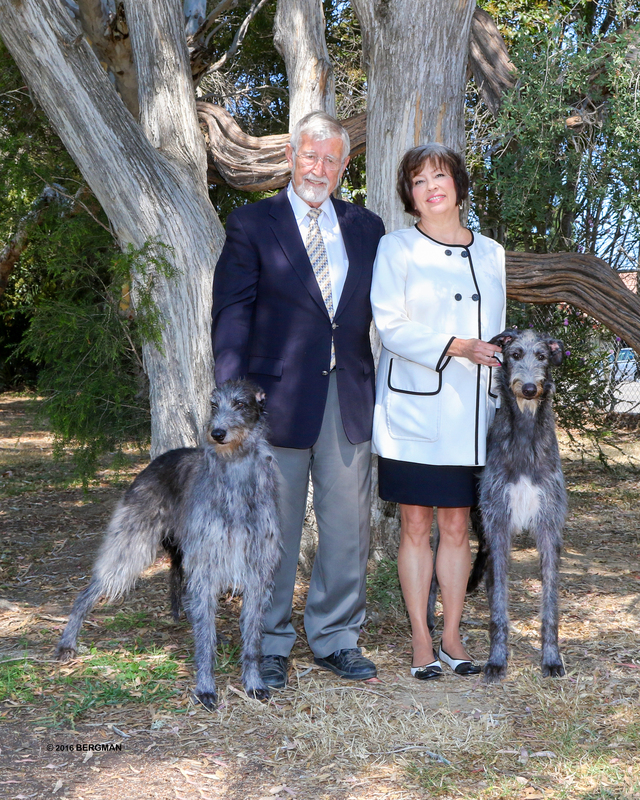 In the thirty-nine years since, Ray and wife Jana have bred over 100 Scottish Deerhounds. Those puppies gained recognition as 70 became AKC champions, 45 placed in the group, 28 won Hound groups and 10 separate dogs have been honored with winning a total of 45 Bests in Show in the US with other winners overseas. 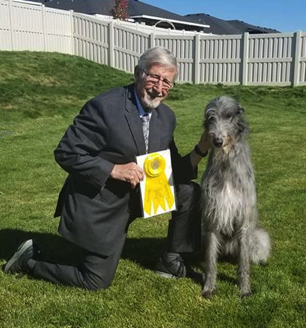 In 2016 Jaraluv was named the AKC Hound Breeder of the Year. Ray has been a part of the Dynamite family from the start. Ray and Jim worked together on many of the products that now make up the successful Dynamite canine product line. Ray and Jana have recently moved back to Idaho which is home base to their many travels showing and handling dogs.